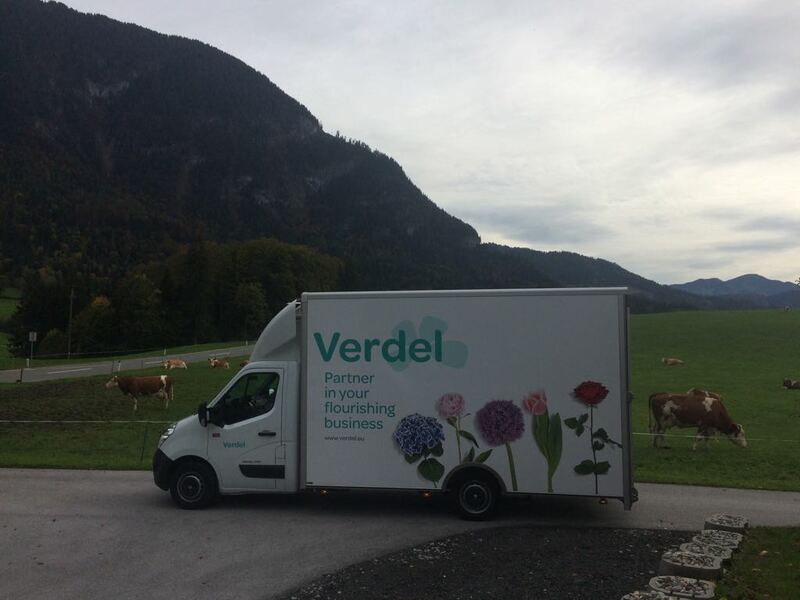 Verdel has recently obtained its organic certification. A trading company trading organic flowers and plants from the grower to the customer will only be allowed to do so if this part of the process is in compliance with the directives on organic processes and products. Now we can provide organic growers with a platform and use this to introduce more consumers to organic flowers and plants. September is the month of taking action against cardiovascular diseases. 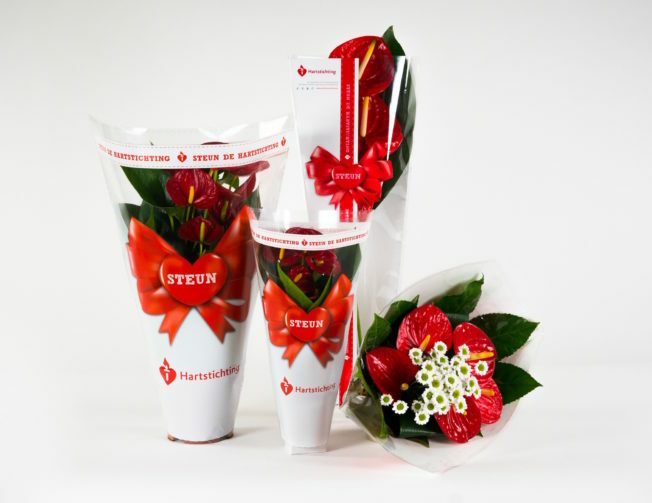 The Anthurium Promotion Foundation (Stichting Promotie Anthurium) is a partner of the Dutch Heart Foundation (Hartstichting). Since 2014, anthurium growers have been raising funds in September for the Heart Foundation, for instance by using the heart-shaped anthurium in their campaign. This year, Verdel started this special action also at Poiesz. 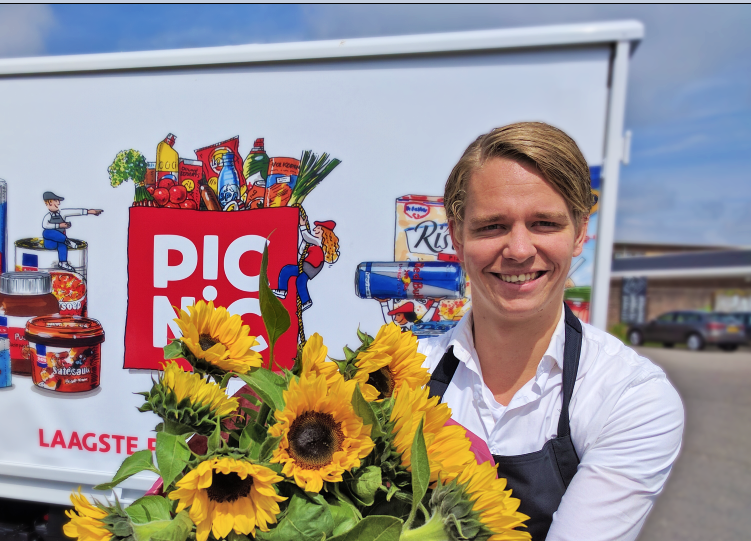 For every plant sold, €1 is donated to the Heart Foundation, which will use the proceeds to place more AEDs in neighbourhoods in the Netherlands. We have delivered a total of 900 plants to Poiesz, so we have raised a nice amount for the Heart Foundation. 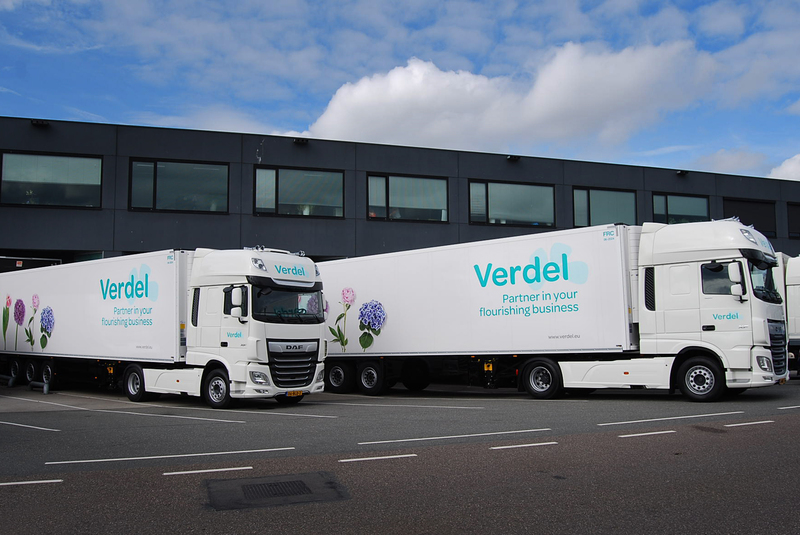 Verdel is growing and flourishing and is proud of the two brand-new lorries that joined its fleet in mid August. They help us serve you even better and add to our road presence in a marvellous way. Our new corporate identity is gradually taking shape. This morning, the first large flower boxes with the new design left the production line at Smurfit Kappa. We attended the occasion and accepted the first box. With special thanks to Twinpack. A next step in our CSR approach. Last week, we joined the Floriculture Sustainability Initiative 2020 (FSI2020). It is our joint ambition to see to it that 90% of flowers and plants will be grown and sold sustainably by 2020. The Verdel car fleet has, in collaboration with Tanco Sign & Print, been extended with a new van in the corporate identity. This image is too beautiful, not to share. Our new corporate clothing is now in use. As from this month, our colleagues in the Netherlands, Germany, Austria, Italy and Denmark can be recognised by their black jackets and shirts with the new Verdel logo. With special thanks to Westland Workwear. 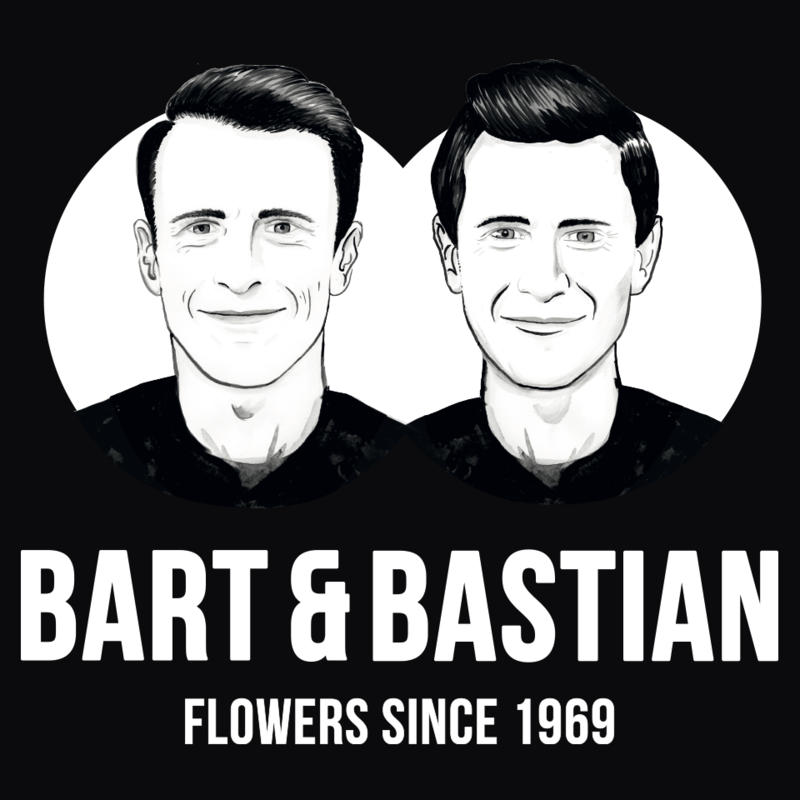 May 27th , the Danish BLOMSTER magazine celebrated its 100th anniversary in Copenhagen. Verdel and its flowers presented themselves at this event. In October 2016, we organised a raffle for Danish florists. The prize: a visit to the Netherlands. 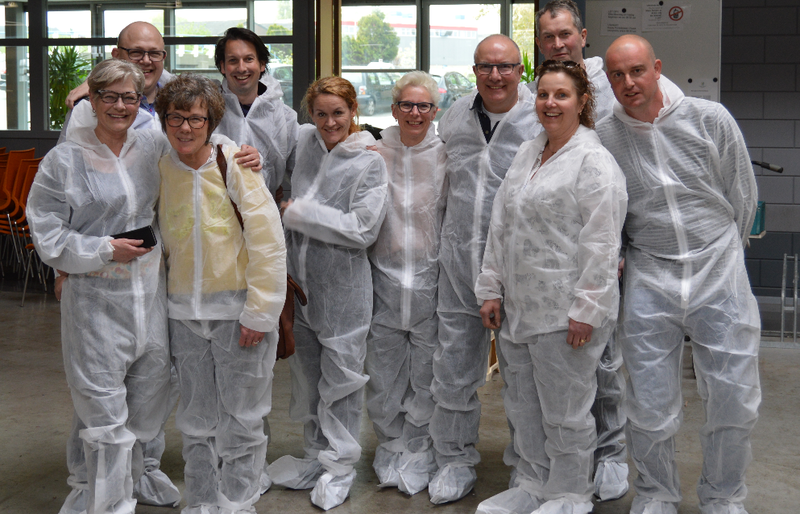 In April, the winners visited our company and some flower-growers. The programme ended with a visit to Keukenhof. 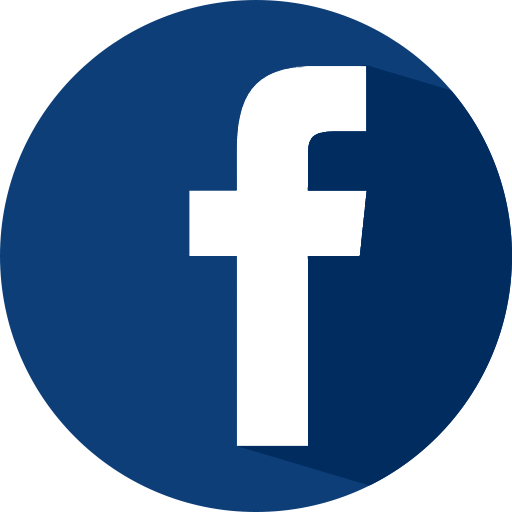 From now on, you can also find us on LinkedIn. 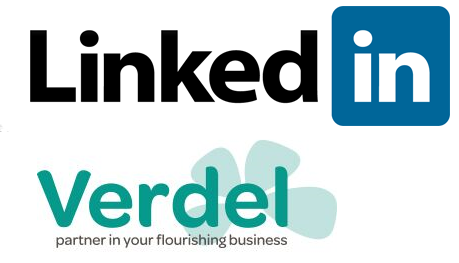 Follow the Verdel LinkedIn group, so that our updates appear in your timeline. Verdel launches its new website and corporate identity. Verdel delegation travels to Kenia to visit growers, talk about long term cooperation and explore new varieties. 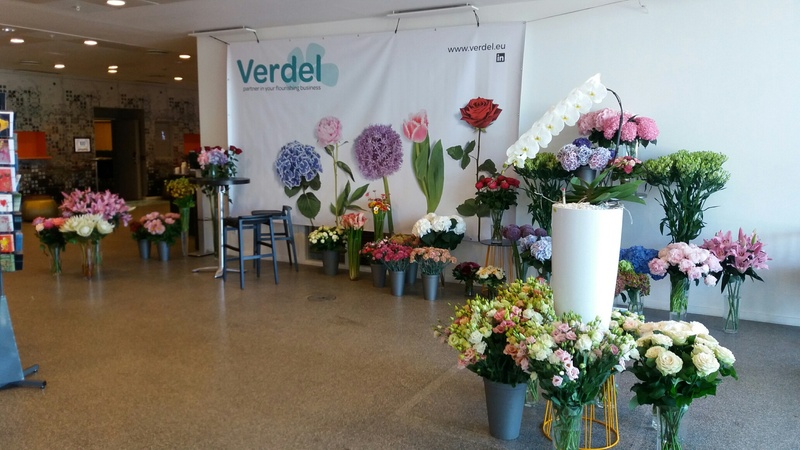 Interflora Denmark launches exclusive cooperation with Verdel. Verdel & Picnic introduce their collaboration.